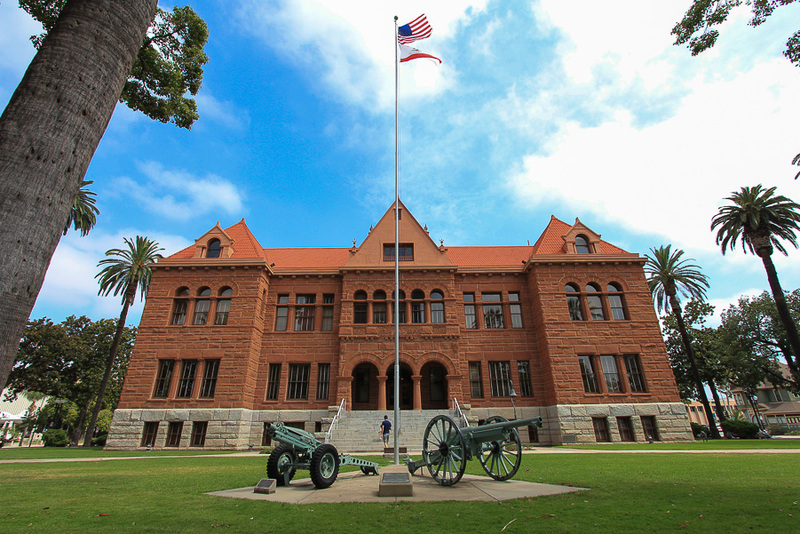 July 31, 2015 - Today we drove to Santa Ana for a special sale at the Bowers Museum featuring "museum quality" pieces, for members only. More about the sale later. 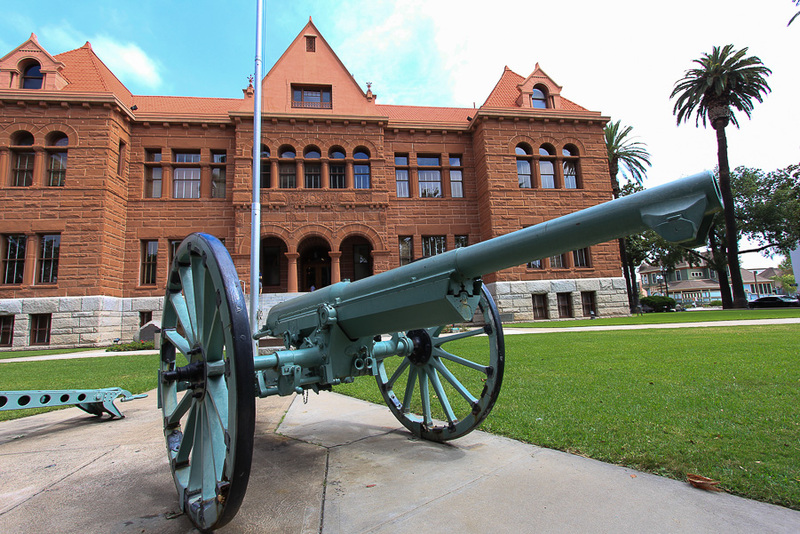 However, we knew that this little shopping excursion wouldn't fill up our day so we took the opportunity to visit the Old Orange County Courthouse, which is right in downtown Santa Ana. 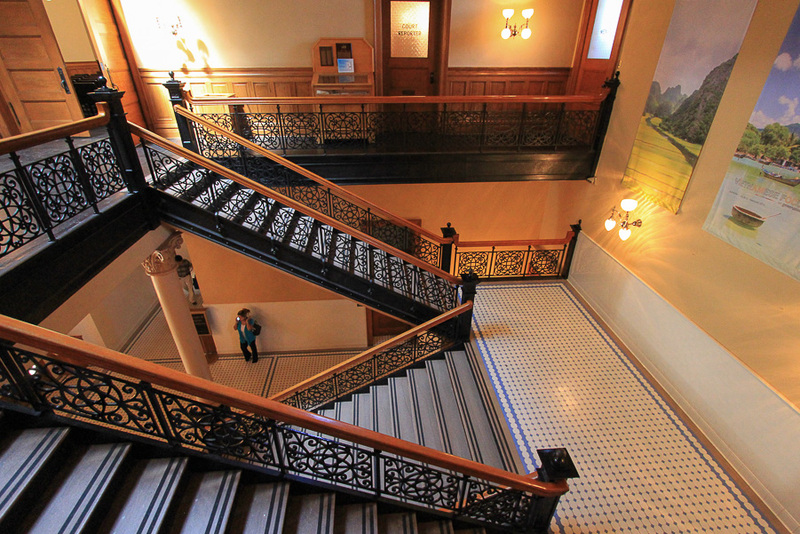 After seventeen months of construction, this building was formally dedicated in November of 1901 and housed most of the functions of county government. 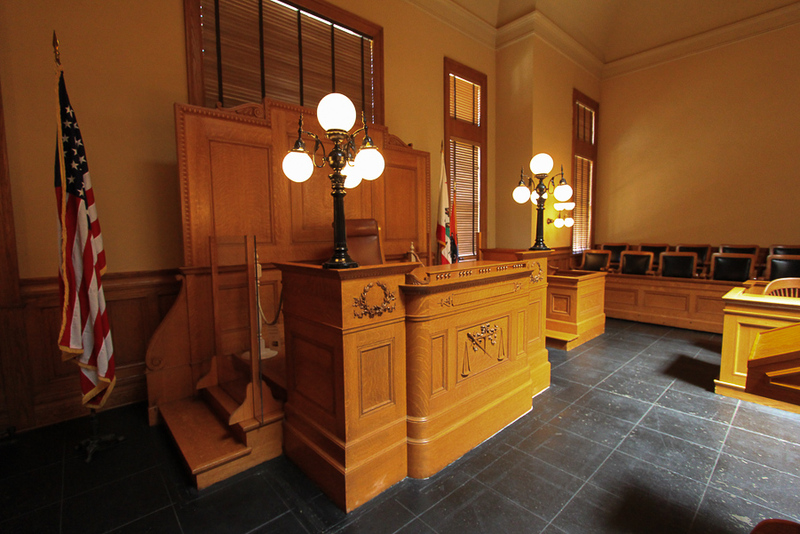 The Superior Court required just one courtroom at the time, but by 1914 the addition of a second courtroom was required. 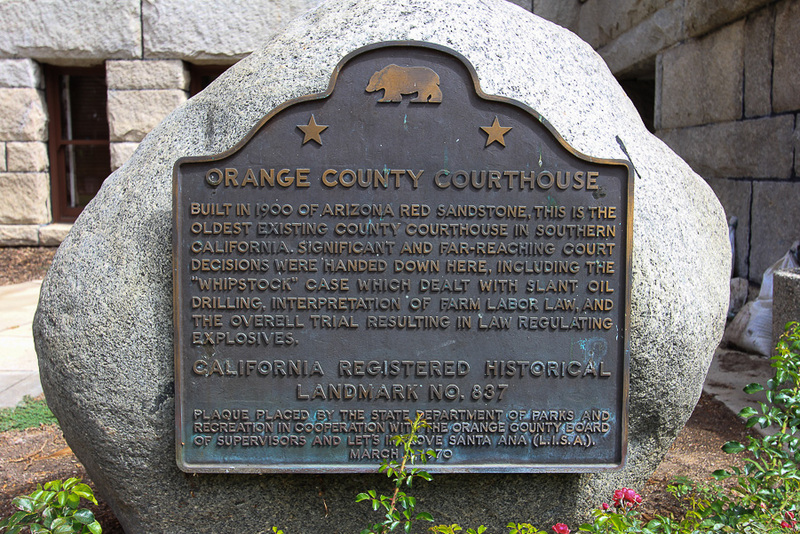 The Old Courthouse was the scene of several important and far reaching court cases. 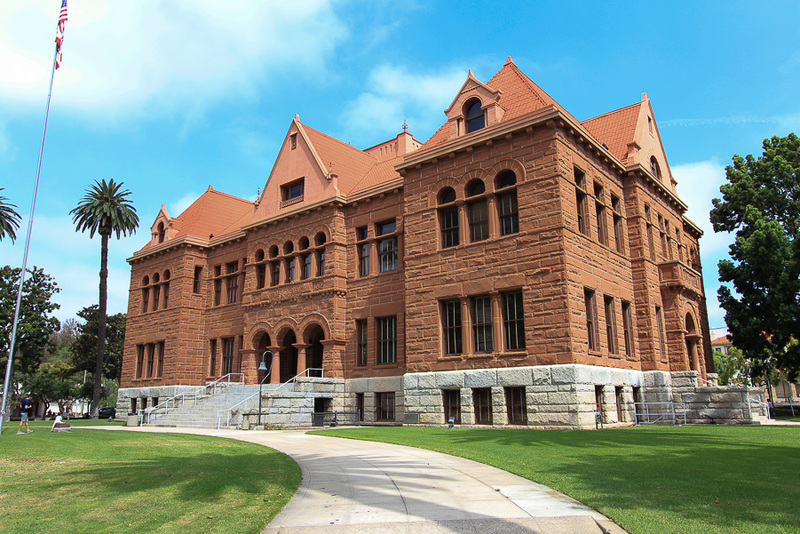 The building was constructed of brick with a steel superstructure, but veneers of red Arizona sandstone and granite cover the entire building. 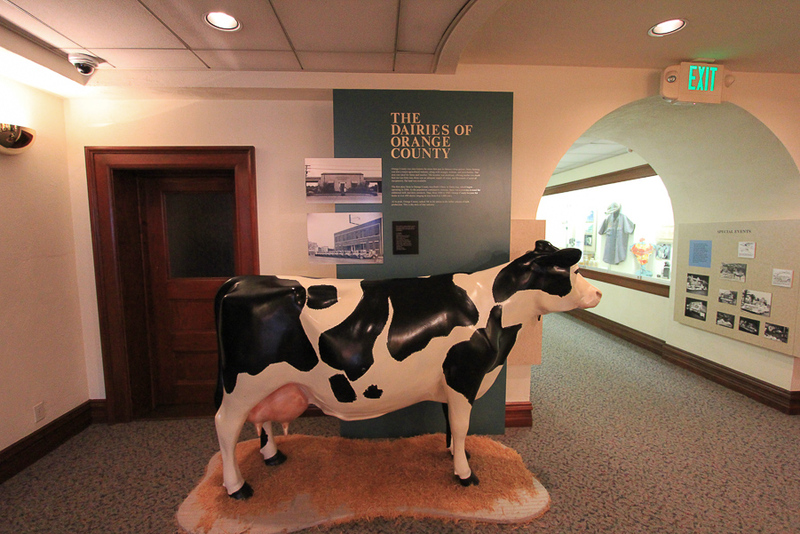 The building is now a historical museum, but it also continues to serve the public. 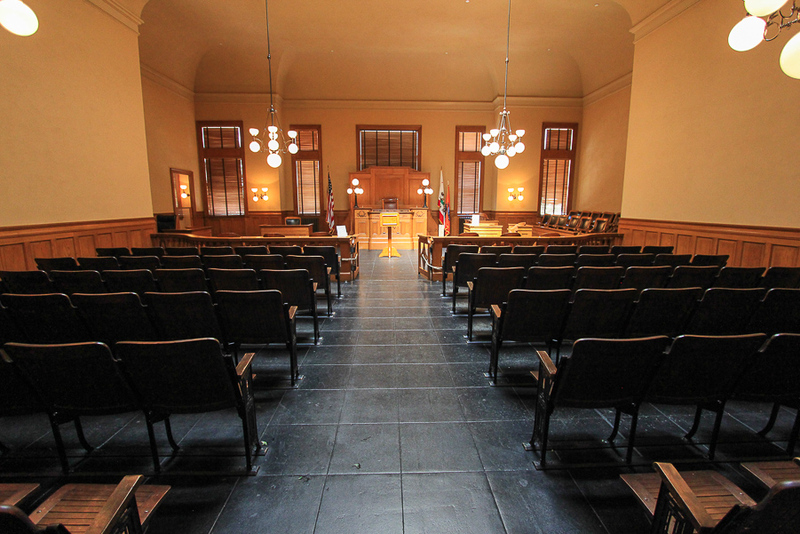 Both the Marriage Licenses office of the County Clerk-Recorder and the hearing rooms of Assessment Appeals are still located here. 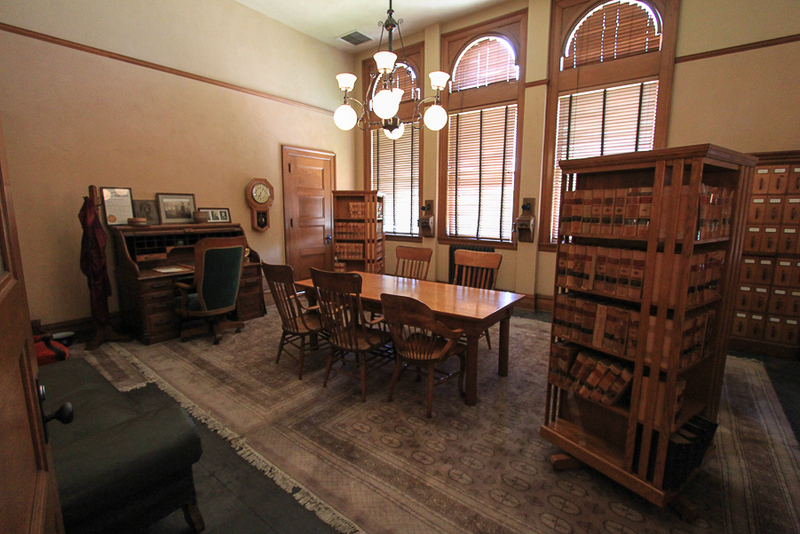 This is the original Superior Court Room with all of the original furniture from 1901. 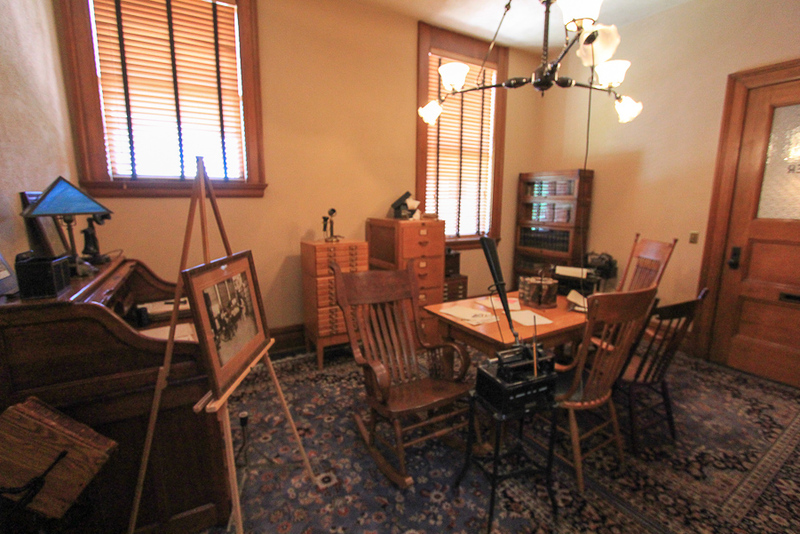 This is the Court Reporter's Office, who recorded and transcribed trial proceedings for the public record. 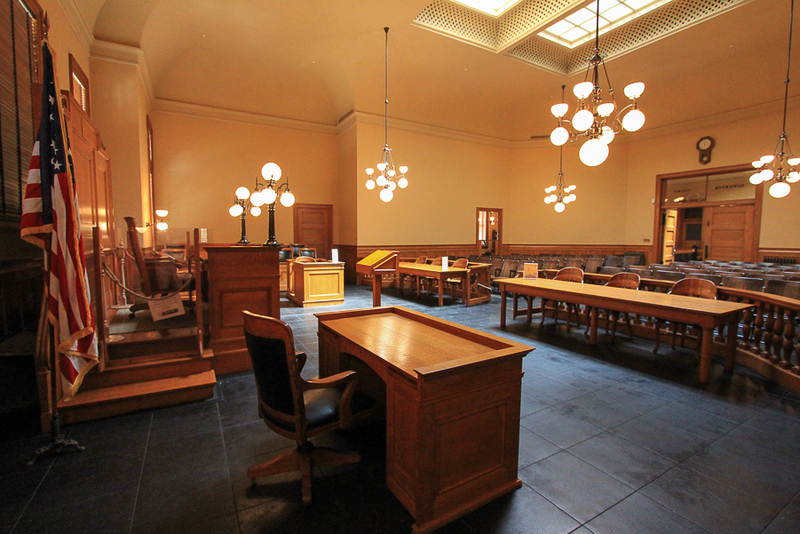 This is the Judge's Chambers that also served as a place for private hearings and meetings. 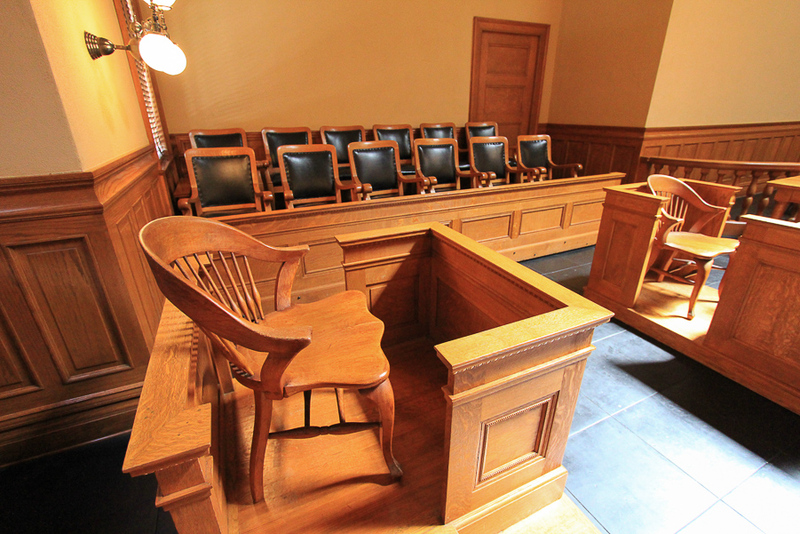 While we were here Channel 7's Eileen Frere was putting together a news story about Hugh Nguyen, the Orange County Clerk-Recorder. Catching her and her crew at work made our adventure a little more interesting. 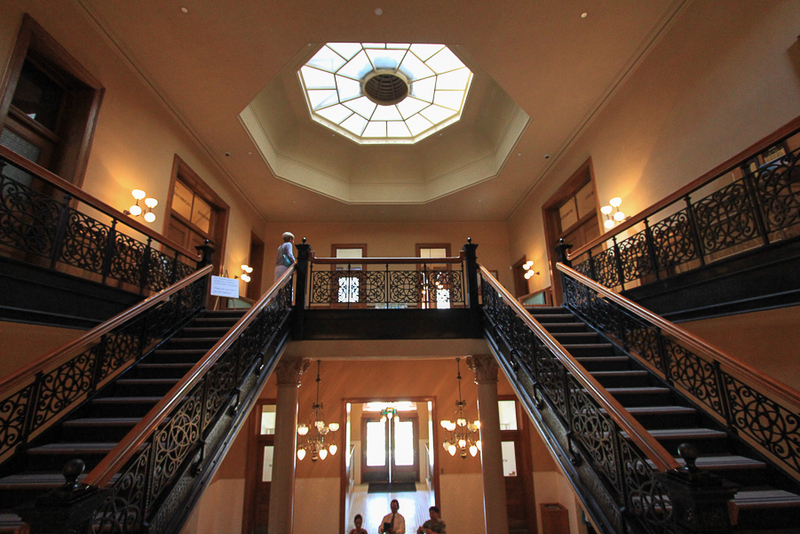 The grand staircase features monumental Corinthian columns, Tennessee marble stair treads and oak handrails. 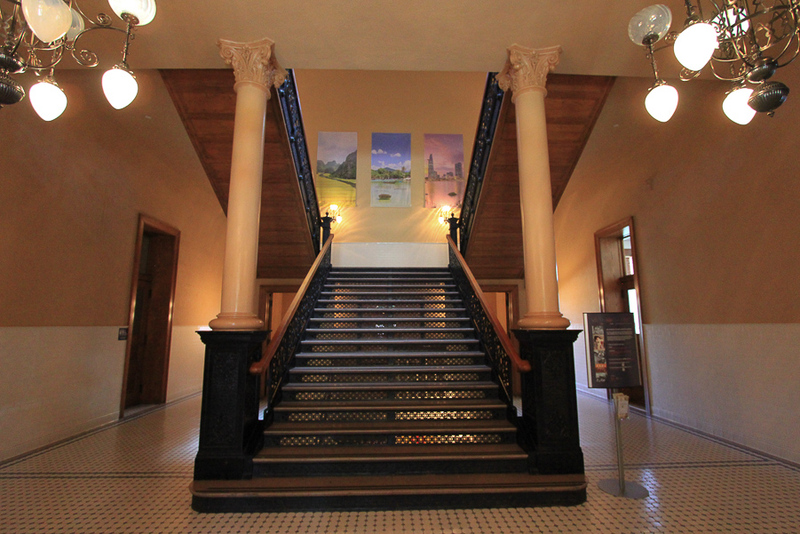 This building is not only beautiful, but it is immaculately maintained. It was a real surprise for us. 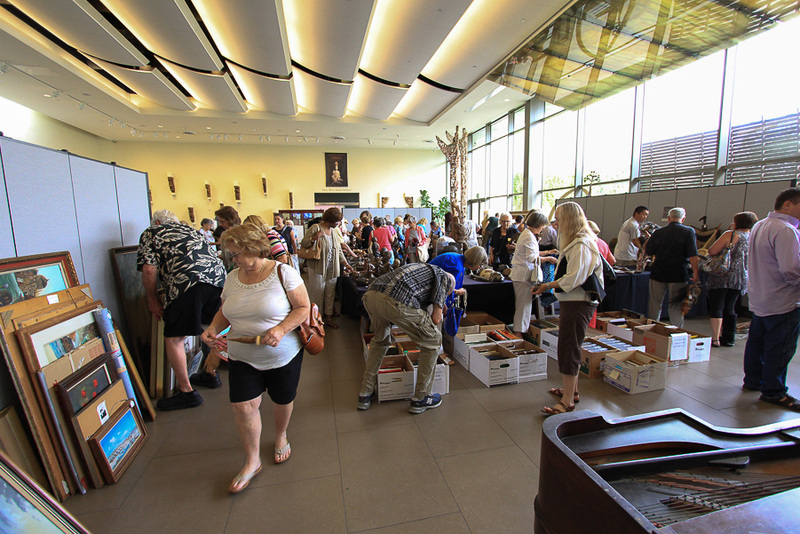 Meanwhile, the Bowers Museum sale before out tour was a little disappointing. 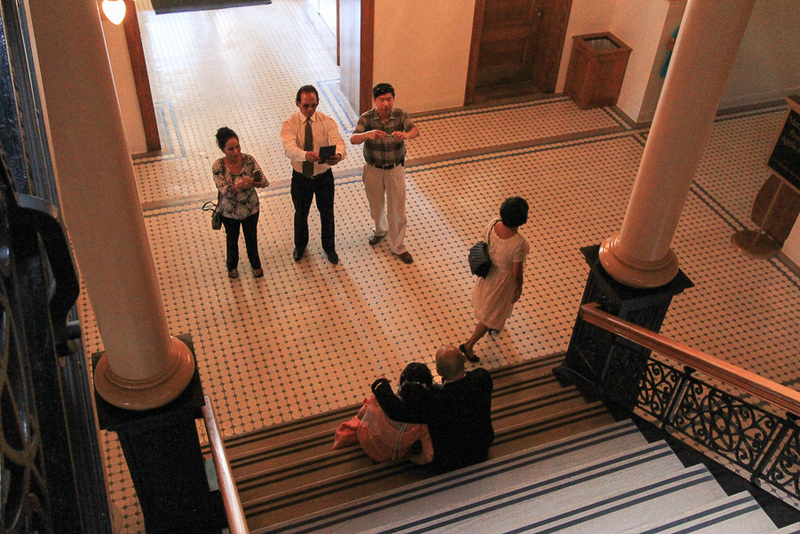 "Museum and Heritage Professionals," whatever that means, were allowed in one hour before the public. So by the time the doors were opened for us, a lot of the good stuff was gone. However it was fun to look around and see some very unusual items. We stopped at Norm's for breakfast before going to the Bowers Museum and I had their steak and eggs and Judy had their French toast.